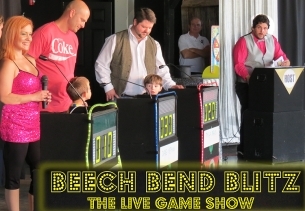 Beech Bend Blitz is entering its 6th year as a premier show at Beech Bend Park. Our guests loved the first 5 seasons, and the Blitz will only grow stronger in 2019! It’s a show you don’t wanna miss! Beech Bend Blitz appears every Saturday beginning Memorial Day weekend. 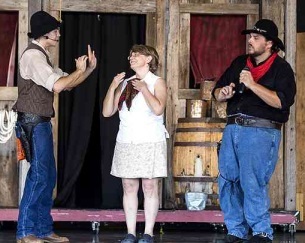 Wild Bill Hiccup’s Wild West Show is an instant family favorite! Your family will love the slap stick comedy and hilarious antics of Wild Bill Hiccup and his gang of bandits. Sherriff Roscoe will have his hands full trying to tame Annie Oaktree, Bad Bart and Daredevil Dan. Don’t miss this exciting family show! Shows begin May 25 and are performed daily except on Tuesdays. Come and be amazed! Dinky Gowen, Master of Illusion will mesmerize, hypnotize, and will have you laughing out loud! Check out his amazing illusions, hilarious antics, and jaw-dropping escapades. Dinky appears daily, for the entire season. 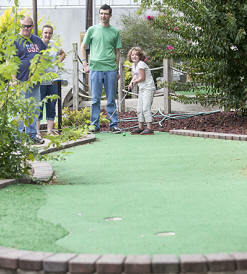 Enjoy a game of miniature golf during your day at Beech Bend Park. Play the beautiful 18-hole course under multiple shade trees. It’s the perfect way to take a rest from the rides and still have fun. This attraction is free to all park guests. There is a $2.00 deposit per person to play to cover the ball and club rental. When the items are returned at the end of the game, the $2.00 will be returned in full to each player.